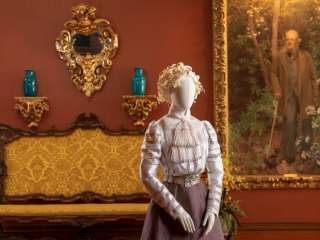 Spend time together in Asheville and visit Biltmore's newest exhibit "A Vanderbilt House Party" with costumes recreated from actual photographs from the early 1900s. Package includes accommodations for 2 people (age 12 and up please) for 2 nights in our Cowley Room with antique twin beds and 2-day tickets to Biltmore $65/each plus tax. Includes all the amenities at Pinecrest plus 10% off room rates valid for nights Mar 21-May 27, 2019 only. Select Special Rates and use coupon code: SPRINGMOM for exclusive package price or phone us at 828.281.4275 for personal service.